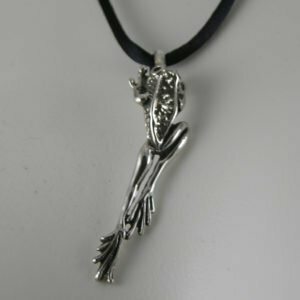 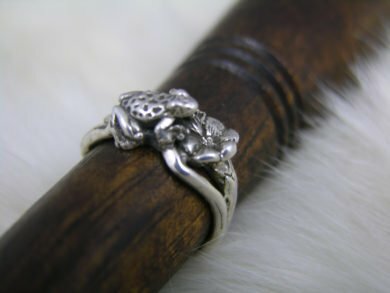 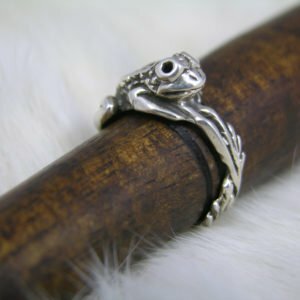 Retro design Sterling Silver Frog on a Lily Pad Ring, made by Maggie of freedomjewelryusa. 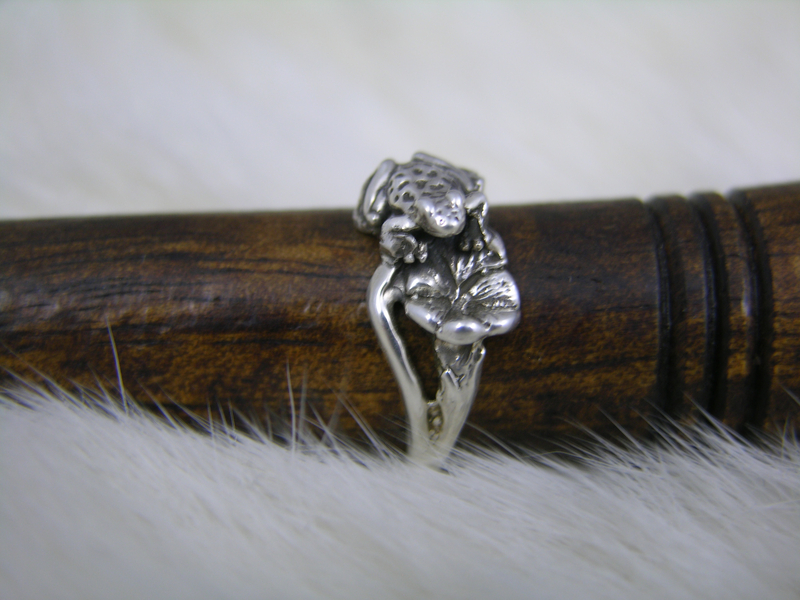 Small, well made ring, guaranteed to please, shown in a size 6.5 with a weight of 3 grams. 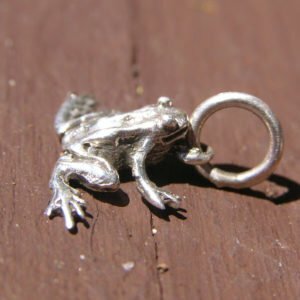 Nice detail, frog lies across the finger for everyday wear. 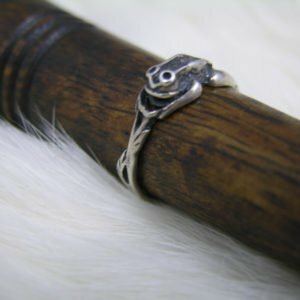 See photos for detail. 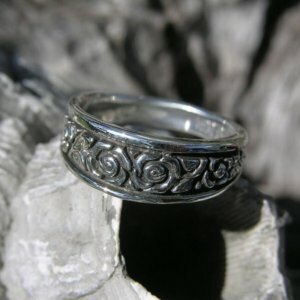 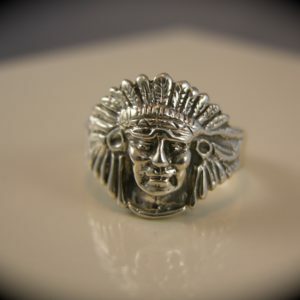 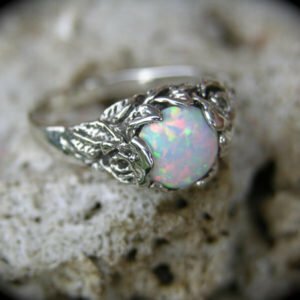 I can recast this design in your ring size. 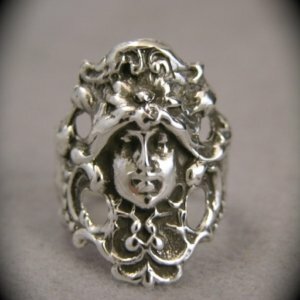 Enter in notes to seller.